Sisyphus, the SLUH Magazine of Literature and Art, now in its thirty-sixth year of publication, aims to promote good writing and artwork in the SLUH community and to give that community a chance to appreciate the fine work being done in the school. 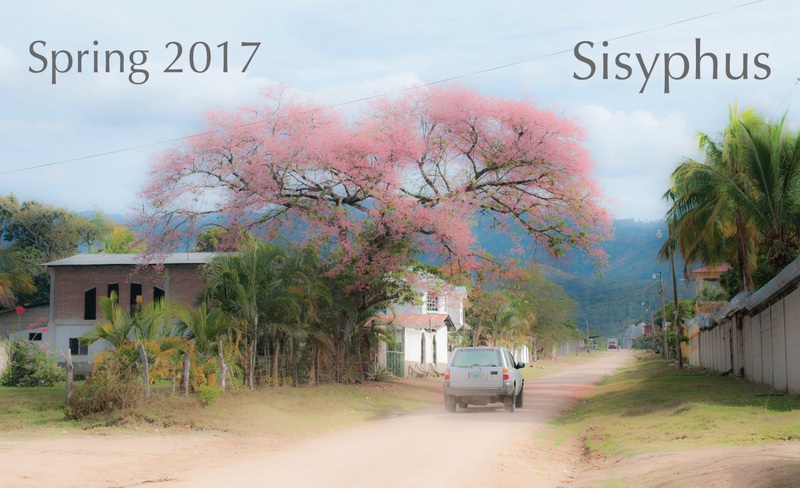 Twice each year, at the end of January and the beginning of May, Sisyphus publishes stories, poems, personal essays, drawings, and photographs from students, teachers, and staff at SLUH. The student literary editors encourage writers to submit their work and then meet to select the manuscripts, which are considered anonymously. The student art editors gather and select the artwork and then prepare it for publication. Frank Kovarik and Rich Moran are the moderators. These moderators are indebted to their colleagues in English and Fine Arts, who coach students to write and draw. Students (and staff members) wishing to submit their work should e-mail it to Mr. Kovarik or Mr. Moran. Sisyphus takes its name from the Greek hero whom the gods consigned to an unending cycle of rolling a massive stone up a hill, only to watch it roll down again. Appreciating the satisfaction of human labor, Albert Camus wrote that “One must imagine Sisyphus happy.” We are indeed happy with the twice-yearly labor of making some great writing and artwork available to the St. Louis U. High community. 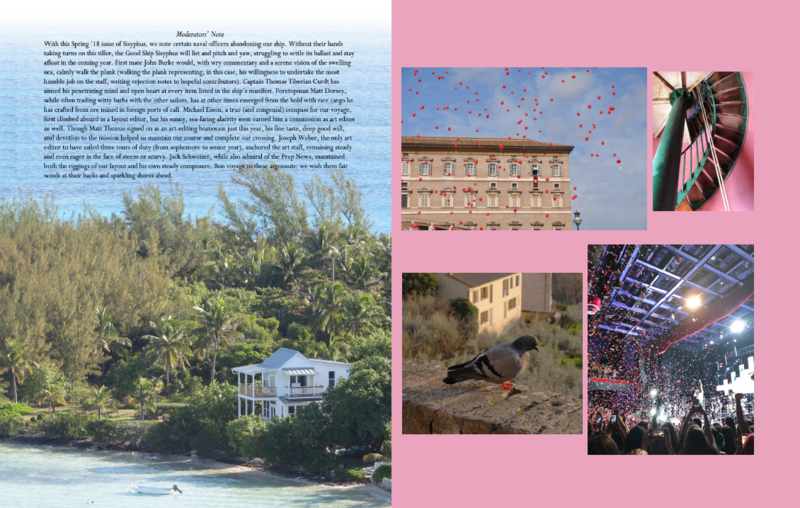 Click cover image above or inside cover below to access Winter 2017-18. Click front cover images above or inside cover image below to access Spring 2017. >>>LISTEN HERE: With some back issues, the editors sat down with contributors in order to highlight work from the magazine. Here you can listen to episodes via iTunes from past years.